AFTER three years living the high life in Puerto Banus – think fast cars and fast girls – British expat Paul Hickling turned his attentions to a barren hillside in Manilva instead. It was 1981, the Costa del Sol was booming and he wanted to build a restaurant to cater for the constant stream of celebrities winding up on its beaches. 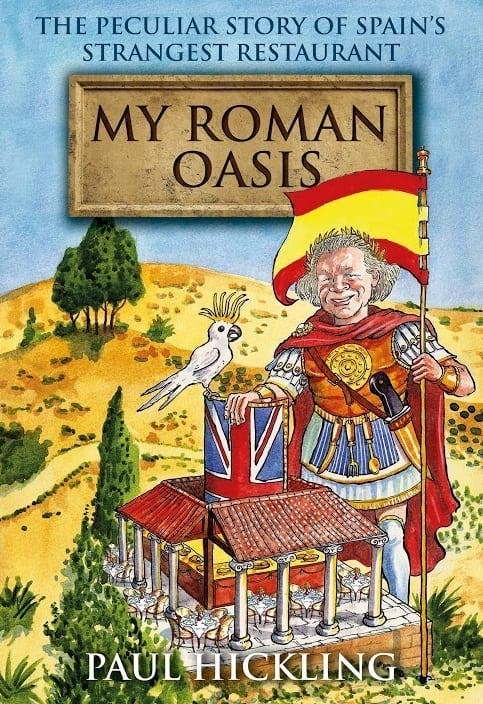 What happened next was a 35-year long disaster, but a successful one at that, with the Roman Oasis welcoming many a high flyer through its doors, not least TV chef Keith Floyd who called it his favourite restaurant. 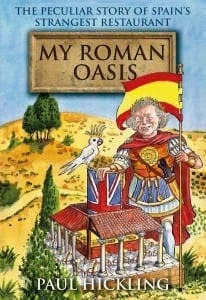 Now Paul Hickling’s eccentric journey has been put down in words in a new book, My Roman Oasis. 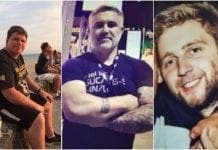 “It took me 14 years to write, but I’m glad because it means I haven’t missed anything, and there is so much to tell,” said father-of-three Paul. Near the celebrated Roman baths, La Hedionda, in Casares, hence the name, the summer barbeque restaurant is legendary for its delicious food and quirky decor. A full-size cannon, a skeleton that lights up when you walk past and a King Arthur’s sword wedged in one of the tables are all part of the setting. There will be a book signing at the Sabinillas Book Shop on Friday June 9, where the book can also be purchased for 14.95 euros. It is also available in Patisserie Miel, Sabinillas, The Business Centre, Estepona port, Bookworld Espana, Puerto Banus, the Gibraltar Bookshop and on Amazon Kindle.